Padilla Designs specializes in creating a living environment that truly represents the unique qualities of each client and their home, weaving structure, durability and aesthetics together into the interior and exterior residential space. Padilla Designs was commissioned for an estate design project that incorporated custom fabricated teak, brass, and copper gates, unique bannisters in a wave patter that complimented the ocean views, and a “peek a boo” window that added privacy to an outdoor shower while allowing an ocean and sunset view. This project was truly all-inclusive, and included interior and exterior estate design. 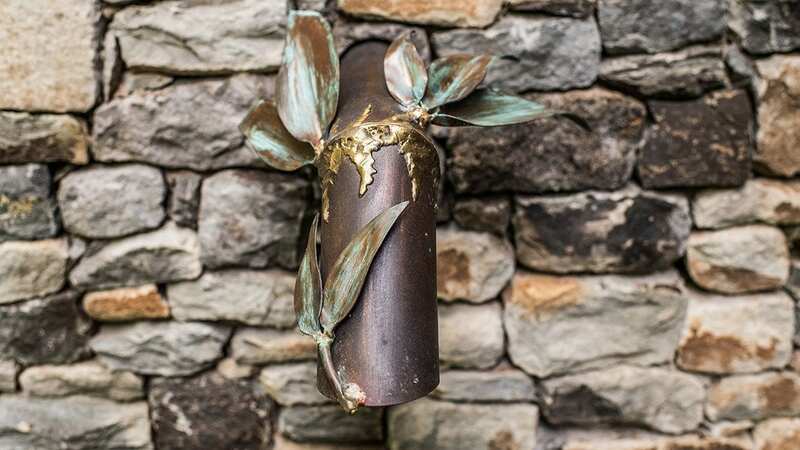 From main entry gates, to water features, to functional fire/water sculpture, to interior ceiling accents, Padilla Designs truly transformed this beautiful home into a custom work of art. 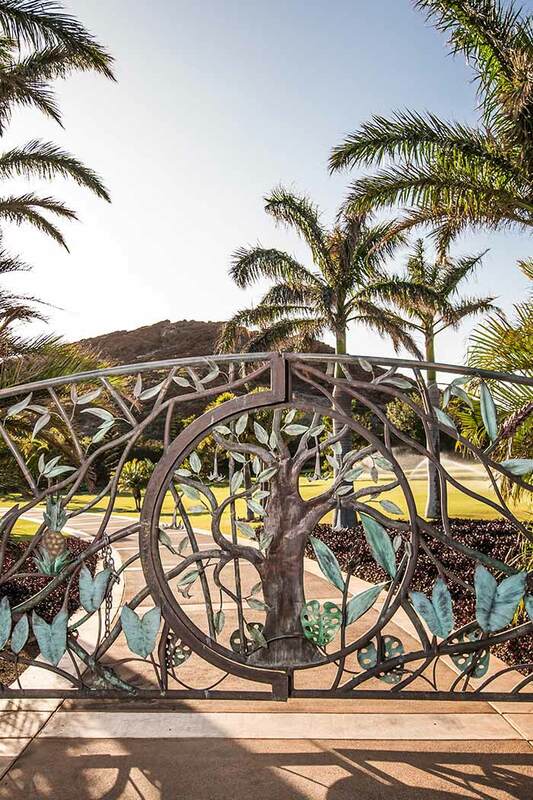 Another fine example of extensive and intricate estate design, this Makena oceanfront home has many fine touches of Padilla Designs custom metal sculpture. A tropical privacy wall on the balcony, illuminating fire torches in the yard, custom octopus sculpture accent, railings on balconies, a custom metal gate, copper-clad columns, and a finely detailed “rainforest” canopy above an outdoor dining area. 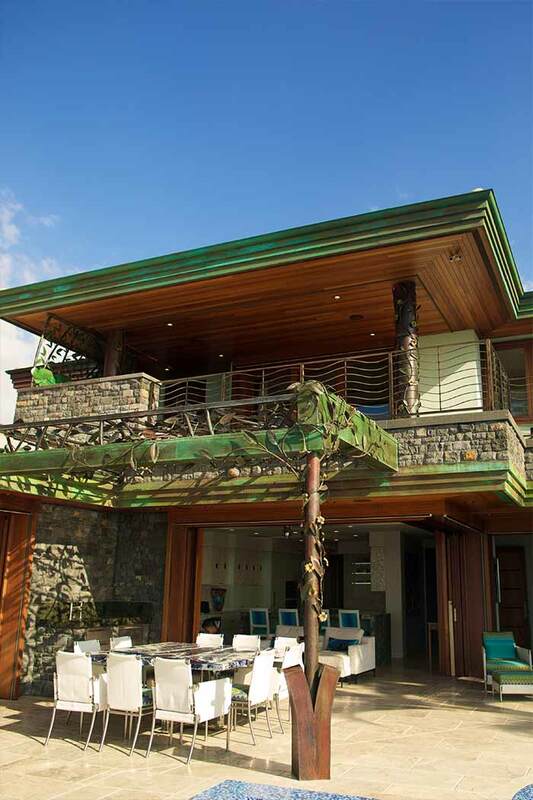 The designer of this Oahu home in the Hawaii Kai neighborhood took full advantage of the Padilla Designs capabilities. 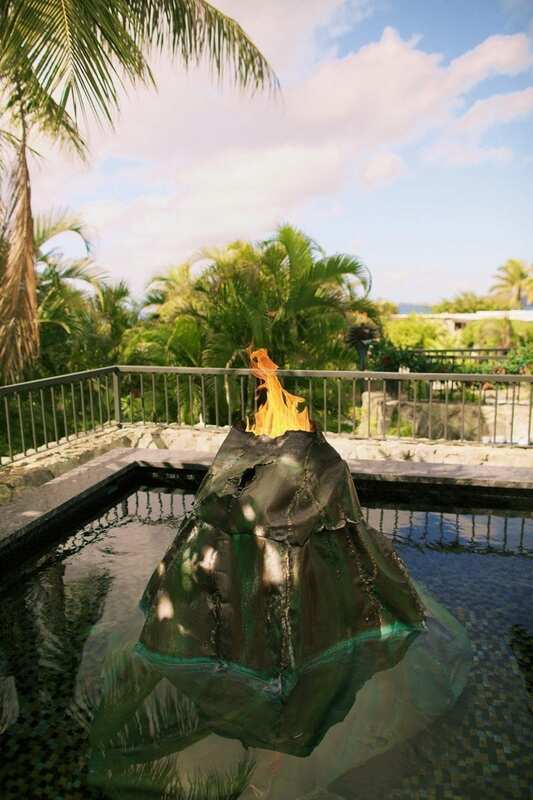 From a sweeping spiral staircase and a hibiscus ceiling sculpture, to a volcano fire feature and butterfly pedestrian gate, our work is woven throughout the property to add beauty, ambiance and function. From start to finish, our design team will work closely with you, ensuring 100% satisfaction in our results.